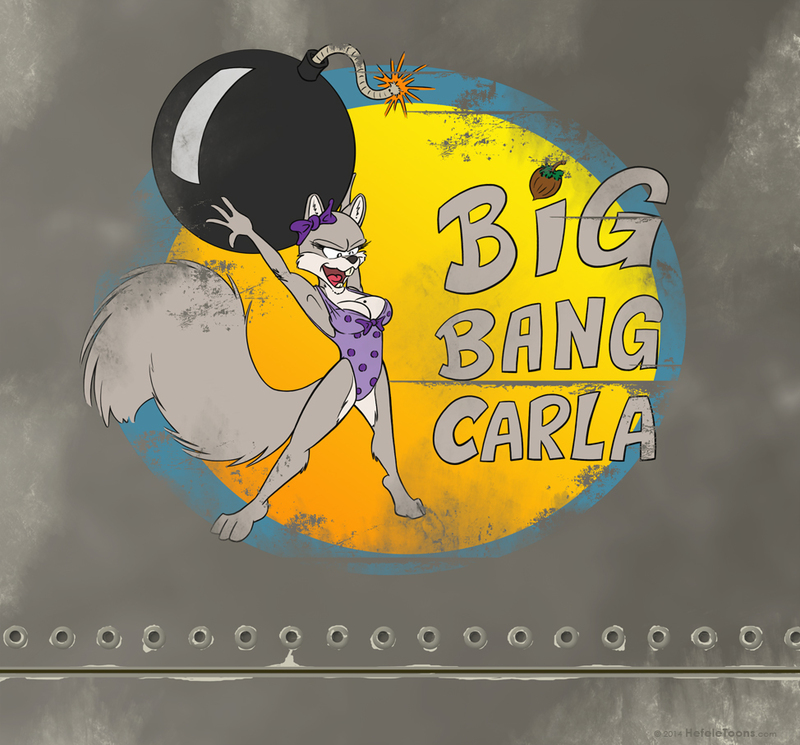 One of the former Nose Art Week commissions, this one was for @maxwest1980, who wanted his Grey Squirrel girl Carla to go all cartoony on them pesky Krauts. Go get em, girl! Oh dude I love it! In the world of my comic, this is something you'd see on a bomber of past days.